Finnair has unveiled details and images of its new A350XWB seating. The Airbus aircraft will be introduced into the national carrier’s fleet next year. The 297-seat configuration has 46 seats in business class, 43 in Economy Comfort and 208 in economy. The 46 seats in business are in a 1-2-1 configuration. 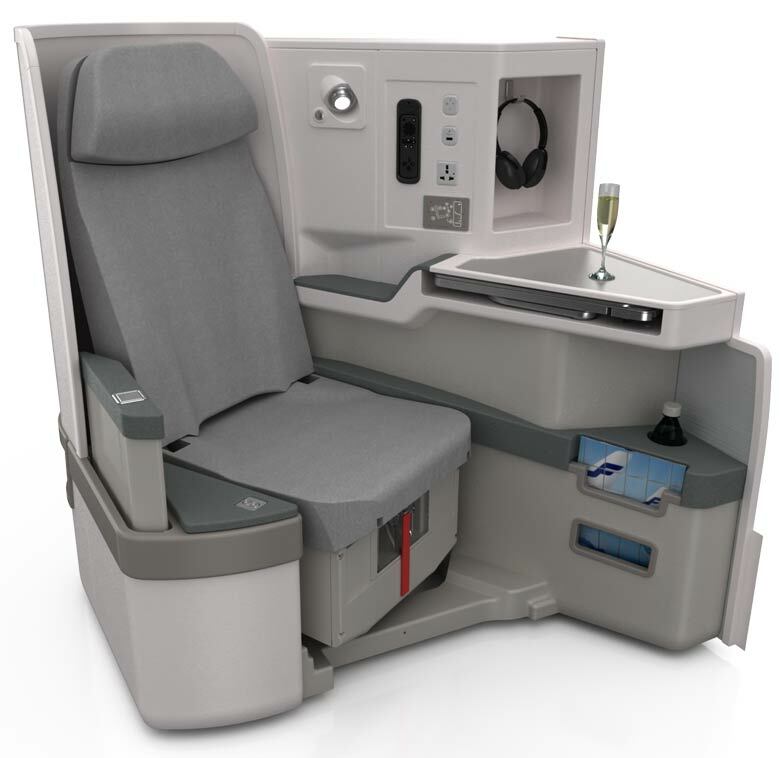 As expected, the new seating is the Zodiac Cirrus III seat that is also fitted on American Airlines and Cathay Pacific aircraft and is being introduced on the Air France fleet. It should be noted, however, that although the seat is similar to the business class offerings onboard these carriers, Finnair has chosen a tighter configuration with less legroom — 78 inches when fully reclined, in comparison with 82 inches onboard Cathay Pacific. Legroom is therefore tight, and you certainly would have to remove shoes to recline the seat to fully-flat or even partly fully-flat. The Zodiac Cirrus III seats have been modified for Finnair passengers, the airline said. 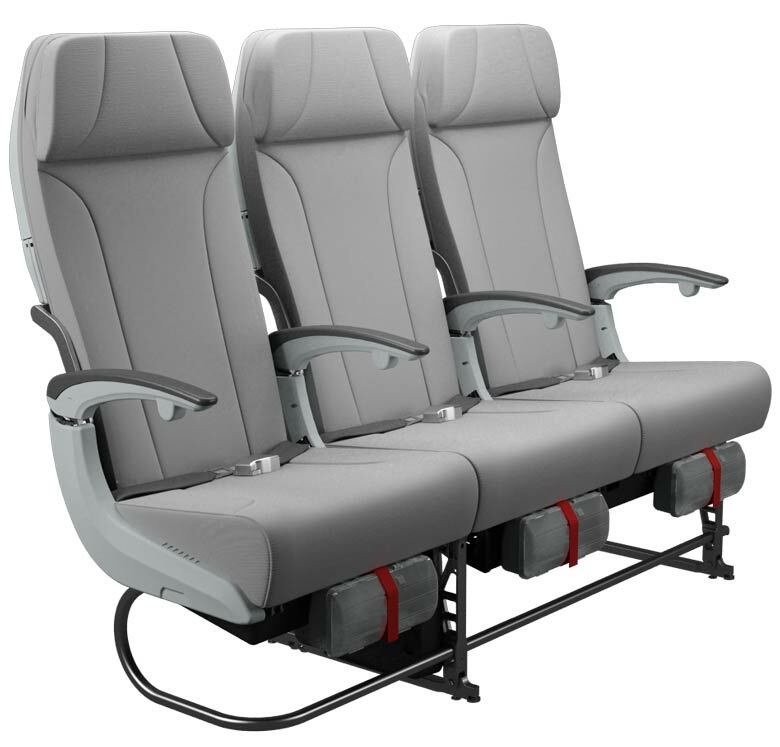 There are up to 40 Economy Comfort seats in a 3-3-3 configuration and with a 35-inch pitch. And there are 208 seats in economy, also configured in a 3-3-3 layout. These are Zodiac Z300 slim-line seats with a 31 to 32-inch pitch and a six-inch recline. The design has been created by Helsinki firm dSign Vertti Kivi & Co, which also oversaw Finnair’s new Premium Lounge at Helsinki Airport. Designer Vertti Kivi said: “We have worked hard to create a special customer experience onboard the new A350XWB aircraft and are proud to bring Finnish design to Finnair’s passengers. The A350 also features an advanced pure air filtration system that changes the air in the cabin every two-to-three minutes, draft-free air management, adjustable multiple temperature zones and a lower cabin pressure. Finnair plans to begin operating its first A350s in the second half of next year, initially serving Shanghai, Bangkok and Beijing, with A350 service to Hong Kong and Singapore to be added in 2016. The airline has 11 firm orders and eight options for A350 aircraft, which will form the backbone of the company’s long-haul fleet and drive expansion plans.